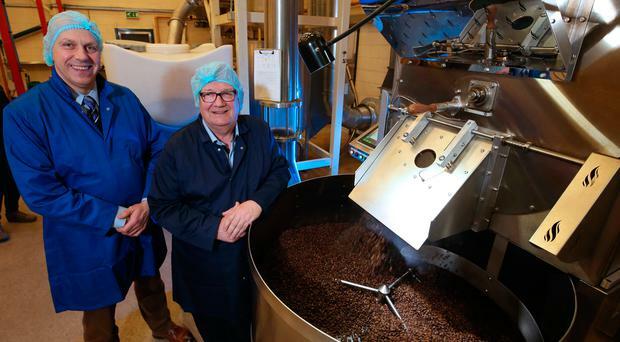 A coffee roaster in Lisburn has said it's doubling its workforce to cater for growing demand from outside Northern Ireland. Pure Roast Coffee, which was founded by Martin Symington, specialises in roasting, packaging and distribution. Now, supply agreements with a Swedish company and global business in China have prompted an investment, with £95,000 in support from economic development agency Invest NI. The firm is improving its production space and taking on nine new production staff. Mr Symington said: "We expect that our export sales will triple over the next three years so it is imperative that we address the capacity of our processes and take measures to improve our competitiveness." He said it had made improvements including buying an automated packaging machine.